This beautiful clear glass bauble features a mother bear and her cub in the middle. 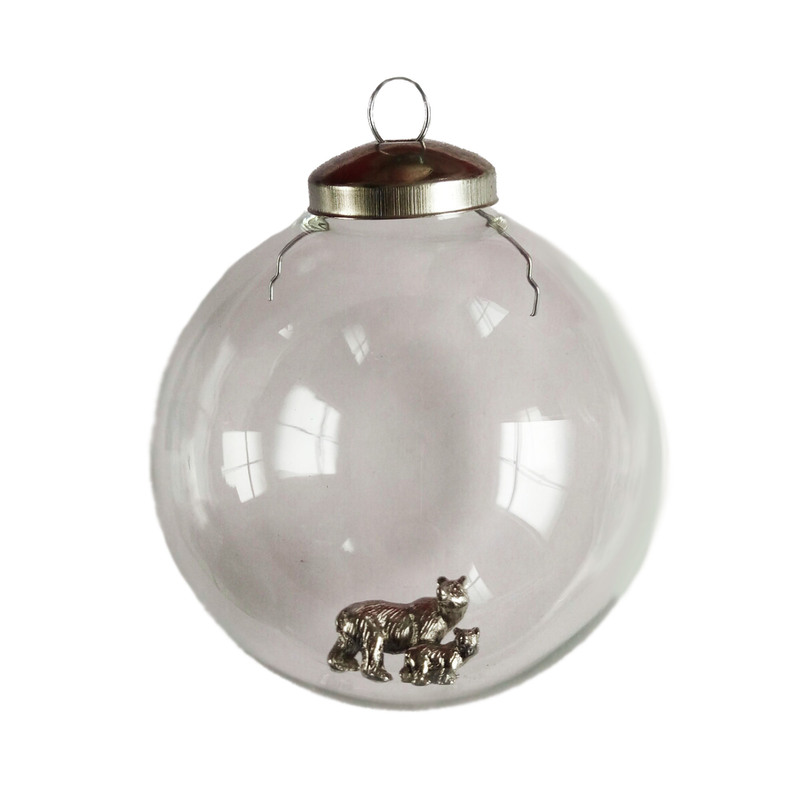 The bears at the centre are a silver colour which stands out through the transparent glass bauble. Our bear bauble is a classy addition to your tree combining the love of Christmas with the love for wildlife this festive year. Beautiful bauble, exactly what I was looking for.